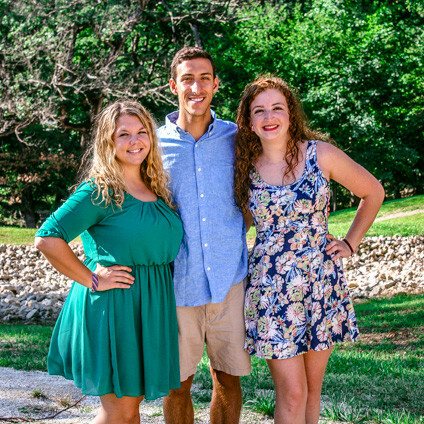 Masada campers enjoy a camp experience all their own at Camp Sabra. The Masada village is tucked away in the woods with its own kitchen, bath house and program pavilion. The tents that the campers and staff live in have no electricity – bringing the campers closer together and back to nature. Masada campers begin and end their session at Camp Sabra, but in between they explore the mountains in Colorado – hiking, white-water rafting and climbing along the way. 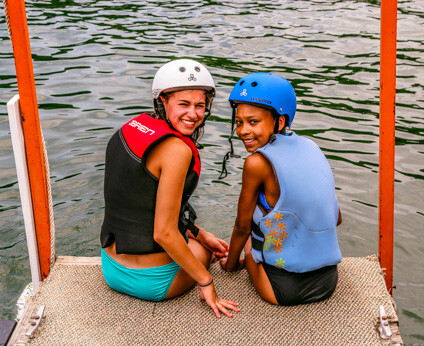 While at Camp Sabra, Masada campers do get the chance to enjoy our Camp Sabra activities – skiing, ropes courses, swimming, etc. – but the majority of their time is spent getting ready for their journey. During this time, campers hike and learn to pack, and cook and clean their own village. They also participate in community-building experiences. Masada campers spend a large portion of their time in the Masada village and away from the main camp. After their trip to Colorado, Masada campers return to Camp Sabra to participate in our color games, Maccabia, and travel with the entire camp to Big Surf Water Park. Masada Campers also use these final days to prepare for the Masada Banquet, a rite of passage looked forward to by all campers. At the banquet, the Masada campers “host” the final dinner and plan entertainment, serve dinner and decorate the dining hall. They had the chance to get a “taste” of the activities in main camp.